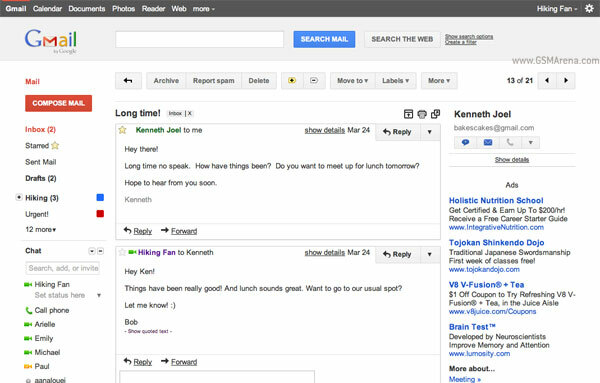 In Gmail you will notice just how clean the new interface is. Every thing looks simpler, focused, more direct. There is also plenty of negative space being used to provide some relief to your eyes and the whole thing seem less cluttered. 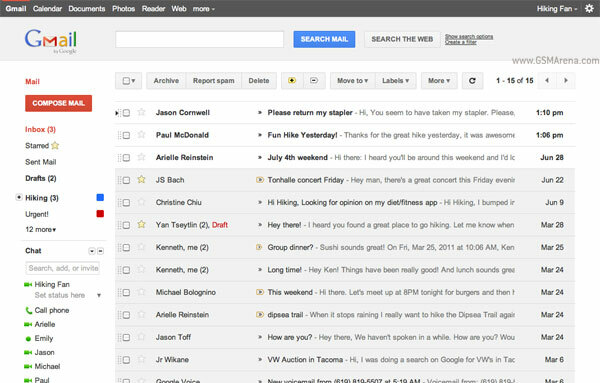 In my opinion, Gmail never looked better. The new look isn’t permanent for now though. You will have to manually select it from the Themes menu in mail settings, however, moving on it will become the default look, with the option to change it of course. Google also admits that it may be a bit rough around the edges and some Labs features may look strange in the new theme. They are also planning on launching a darker version of this theme for those working in dark environments. 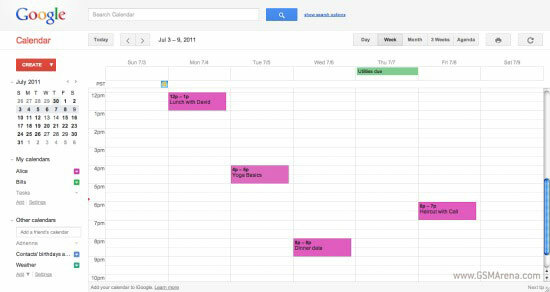 Calendar too gets the new look but unlike Gmail it is not optional. But that is fine with me as like Gmail, Calendar never looked better.